Simply install, finish, then enjoy. 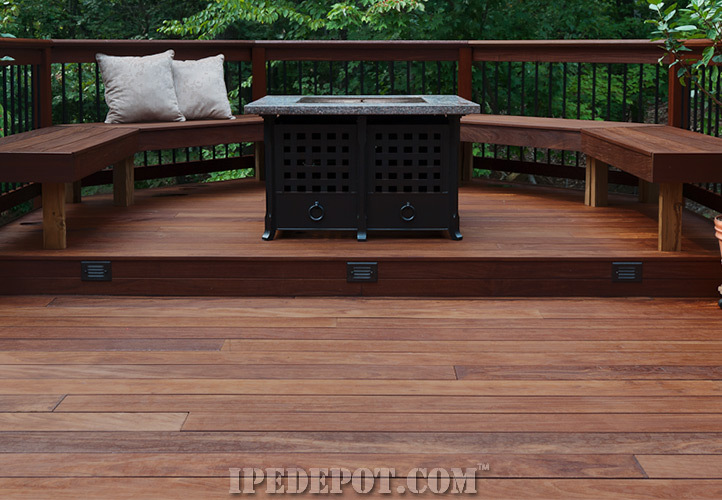 Outdoor living without all the maintenance is possible with Ipe Decking. Do vinyl siding options bore you? Check out Hardwood Ipe Siding as an exciting alternative siding option! 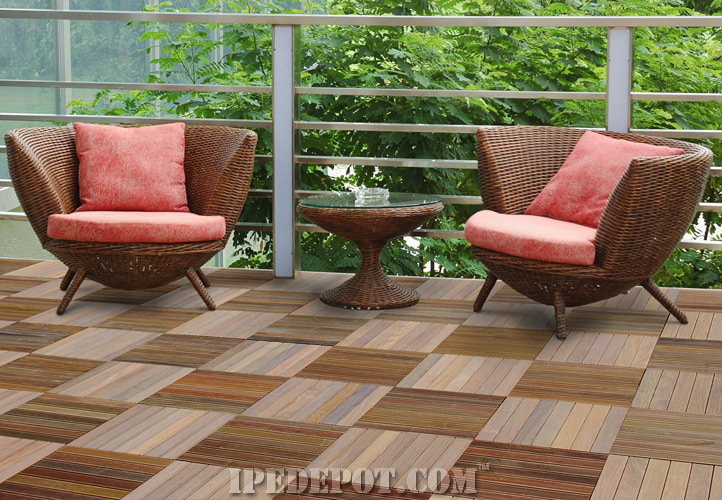 Restore your cracked cold concrete patio with attractive long-lasting Ipe Deck Tiles from IpeDepot.com. Elimiate dangerous nail pops! Achieve flawless outdoor living with our Pregrooved Ipe Decking. 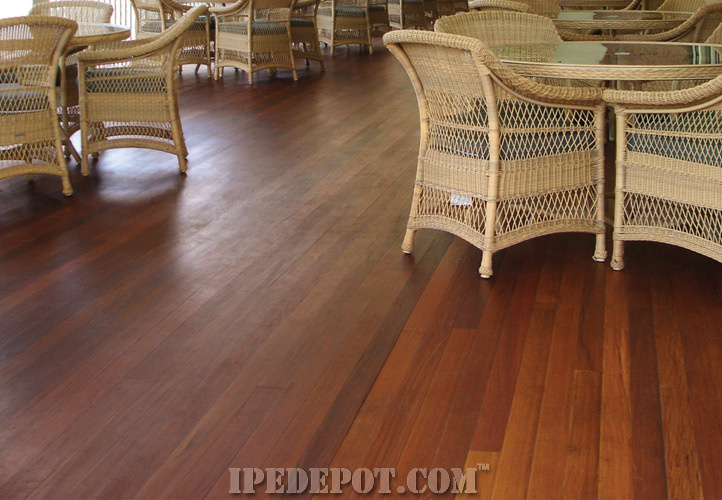 We are direct importers of Ipe Decking. Therefore you receive the top grade material at substantial savings. Our Ipe Decking is all clear grade premium decking material... Don't be fooled by lower grade, cheap alternatives that our competition offers! We service a broad range of customers from homeowners and residential contractors to large commercial developers. Find out why contractors and builders choose Ipe Depot for their Ipe Decking needs. At IpeDepot.com we travel direct to the mills in Brazil to inspect Ipe logs ready to be milled into decking. Our import team is involved in every aspect of the company so that we can constantly improve our services. 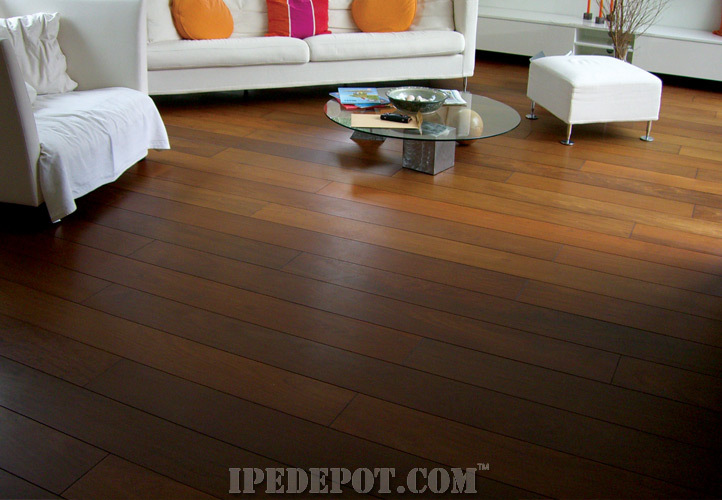 IpeDepot.com is one of the top authorities in Ipe in the country, so you can rest assured that the Ipe you receive is of the finest quality. Since we work closely with many mills to ensure that the decking you receive is of the highest quality, and that the logs are procured in a legal and environmentally responsible manner. We pride ourselves on the fact that our forestry efforts save thousands of acres from being destroyed for farm land. Only a few logs are cut per acre which allows forest to regenerate and be logged again in 10 to 15 years. This puts a value on the forest, saving them from being slashed and burnt for agricultural and cattle land. It may seem unbelievable that someone would burn forest that contained valuable timber, but the fact is that for a cattle farmer it is more profitable than to go through the bureaucracy of obtaining the necessary environmental surveys and obtaining the slew of permits needed to harvest/mill/ export even a few trees per acre. For more information on environmental concerns click here.